Recent years, it has been a standard feature for many apps and programs to let you use them without being tracked. And now YouTube app is reportedly testing an Incognito Mode that will not save your viewing history, according to Android Police. YouTube has already offered a “Pause Watch History” function to hide your history, but it takes some effort. You need to go to Settings > History & privacy and toggle on the options to pause watch and search history, or simply log out before searching for a video. 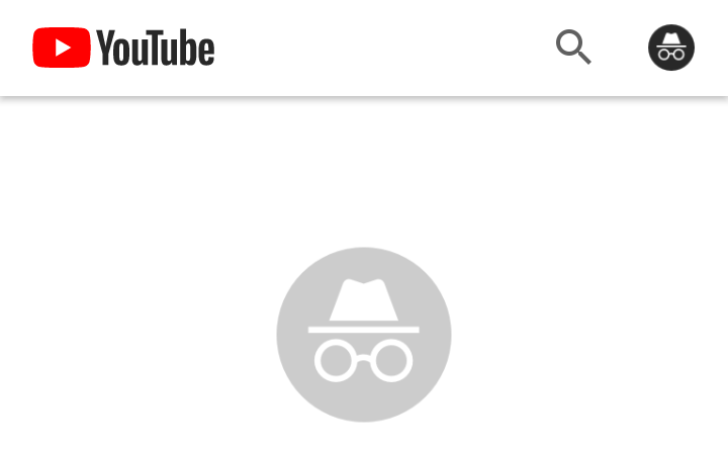 But now YouTube will make it much easier to get incognito without many settings. According to Android Police, there will be a “Turn on Incognito” option when you tap your account avatar in the app. After you turn on Incognito Mode, all your searching and viewing histories will not be saved and your subscriptions will be hidden. The Incognito Mode is still in the testing phase and it’s not clear when the feature will be available to the public, but it seems to be at least available for Android users soon.